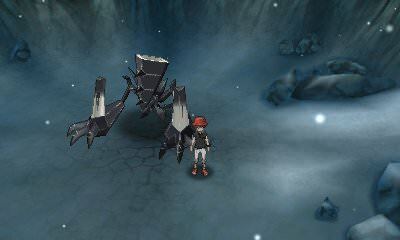 Walkthrough: In the center of Mount Lanakila will be a crater, and within it will be a defenseless Necrozma. Necrozma is very weak once again after losing to you in battle and having been separated from Solgaleo. It will ask you if you would share some of the light within your Z-Braclet with it, and if you so choose to do so, it will work up enough strength to battle you. Necrozma will be at Level 65, knowing the moves of Photo Geyser, Iron Defense, Power Gem, and Night Slash. After defeating Necrozma, you will obtain Ultranecrozium Z. Colress will also appear from out of nowhere, giving you the N-Solarizer and N-Lunarizer. With these items, you can fuse together once again Necrzoma with either Solgaleo or Lunala, respectively.